Women and child mortality rate in Africa has been on the rise. World Health Organization (WHO) estimates that 830 women die every day due to complications related to pregnancy and childbirth. Out of the 830 deaths, 550 occur in sub-Saharan Africa. The sad thing is most of these deaths could have been prevented. Inspired by the need to help fight maternal and child mortality, Florence Wambui set up doula services to offer birth and post-natal doula services. Under the name Doula Wambui, She offers birth preparation classes; labour and birth support; lactation management and mother and baby nutrition counselling. Doula is a new trend that is slowly becoming popular among the middle and high class. The service is growing in demand, driven by the need for better healthcare. Doula, a Modern Greek term for a female helper, refers to a person who tends to the birthing family before, during and just after the birth of the baby. Studies show significant benefits employing the services of a doula. Studies indicate that using doula services leads to reduced shorter labour, reduction in epidural requests, reduction in the caesarean rate higher self-esteem, less anxiety and less depression for mothers. 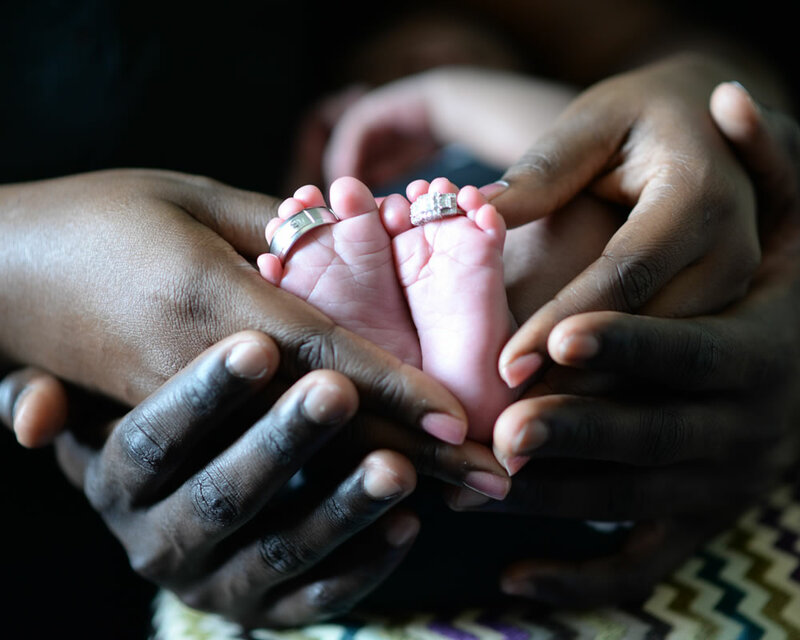 According to Wambui, the demand for Doula services is high, especially among women in urban areas, and mostly the middle class living separated from their families, their mothers or aunties who traditionally take care for pregnant women. Wambui says while she lived and stayed in Finland, she was inspired by how well doulas give emotional and physical support to delivering mothers. With the experience overseas, she understood the importance of doulas and that is when she decided to join the craft. Wambui started the business in 2015; she says she has seen a steady increase in the spending of the middle-class families on maternal services. As a Doula, she serves as a labour coach and information source; giving mothers and the partner added comfort and additional support throughout the entire labour, encouraging and promoting self-advocacy, informed choice and excellent communication between mother and care providers. She also runs classes to offer the parents’ insights on how to deal with the first month after delivery. Wambui makes regular visits to prospective family, at least five times before the birth to build trust. “These classes can cost from USD 80 (Sh8, 000) onwards, with private and crash courses fetching a higher fee,” Wambui adds. “I get to know the kind of couples I will be working with, and then I prepare a package that suits their needs”, She says. Part of her job is to encourage couples to talk about pregnancy something she says does not come naturally. In a month, she says she meets an average of five to seven mothers-to-be classes, on an individual or group basis interchangeably each month. As a certified doula, Wambui is trained to provide emotional support from home to hospital, easing the transition to and from the hospital environment. She says the biggest challenge affecting the doula business in Kenya is that ‘people don’t know’. “Sometimes people think doulas are just midwives and some do not understand why they should hire them. Most people think it is only for the rich,” says Wambui. She adds that people ask why they should pay USD 350 (Ksh 35,000) for a doula, and we are not even the doctors. She further explains that doulas help is much longer and that their availability is much flexible than doctors. To compliment her services, the labour specialist sells lactation cookies as part of her programme. “Lactation cookies may be the best-kept secret among breastfeeding mothers. The ingredients in these cookies work in a number of different ways to help moms boost and maintain their milk supply,” she says. The cookies, she says contain galactagogues, which are substances that promote lactation in humans and animals. “In this case, we are dealing with people, so our recipe has been designed to be palatable and appealing to breastfeeding moms, giving them the essential vitamins since they are high in nutrients,” she says. For the last three years, she has been able to help and coach over 35 couples, and further aid new mothers in health facilities. Her business she says mostly targets first-time and second-time mothers. Wambui desires to see the role of doulas in Kenya recognised as a formal job as opposed to an informal service. “It will be good if more doctors actually come on board and realise how doulas are important, and support it,” she says.